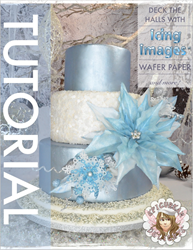 Icing Images® Introduces Tasty Premium Wafer Paper for Cake Decorators and Bakers in Six Colors. Cake by Michele Hopps, Epicurean Delights featuring Premium Wafer Paper decorations. Now other artists can experience how quick and easy it is to use wafer paper to make flowers. Premium Wafer Paper is a slightly vanilla flavored, thinner wafer paper that resists cracking and is more versatile for creating decorations than ordinary wafer paper currently offered on the market. Its texture is ideal for crafting flowers and accepting edible ink to create patterns and designs. The product current comes in packages of white, green, red, pink, yellow and blue. “I'm excited the day is finally here! The launch of Icing Images Premium Wafer Paper! Now other artists can experience how quick and easy it is to use wafer paper to make flowers. You can literally pull together a beautiful flower in 15 minutes! No waiting for gum paste to dry and you can even eliminate wires when doing simple flowers. Let's face it; in this business time is money. Products that help you create quickly while still maintaining quality and beauty are time savers. "- Michele Hopps, Epicurean Delights Instructor and Owner. Icing Images owner, Deborah Coughlin, had intended to add wafer paper to the company’s product line for quite some time; however, the bad taste of wafer paper was a hindrance. The uniquely good tasting Premium Wafer Paper is a natural addition to Icing Images’ line-up of quality edible papers which include their flexible, Premium Icing Sheets™. Icing Sheets are used for covering cakes and printing designs for cake decorations. Premium Wafer Paper is a thinner product used primarily for creating thin, delicate decorations. Customers can print designs on the wafer paper using Icing Images’ iDesigns™ pattern printing feature and cut decorations with the Spellbinders Sweet Accents food-safe die cutting and embossing system using any of over fifty die cutters and seven embossing folders. “I am delighted to be able to offer higher quality products that perform best in creating the types of designs our customers make and to solve the problems they normally experience with similar products on the market. Premium Wafer Paper does just that by bringing them a more flexible and better tasting paper to offer their customers. It represents the next generation of wafer paper.” – Deborah Coughlin, Icing Images owner. Icing Images has been a leading distributor of edible photo and edible paper art supplies for over a decade, offering edible ink printers, edible ink, icing sheets, electronic and manual die cutters, and DECOgel to retail bakeries, home bakers and cake decorators. 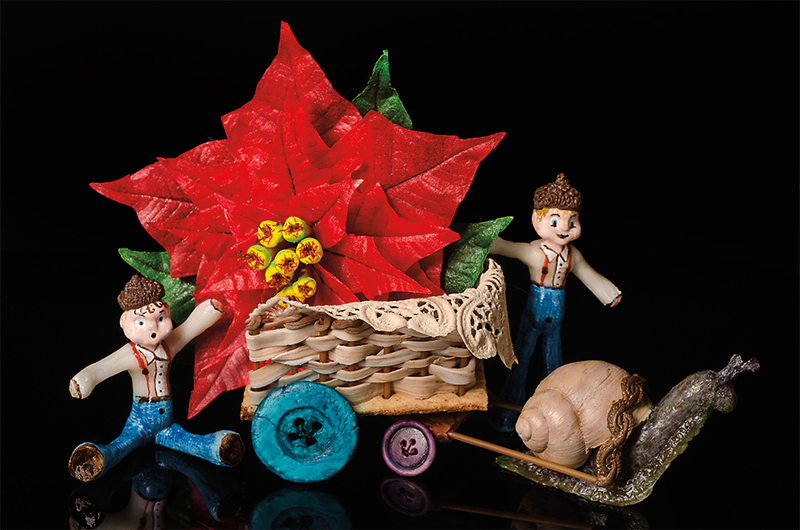 By Lisa Berczel featuring Premium Wafer Paper poinsettia.